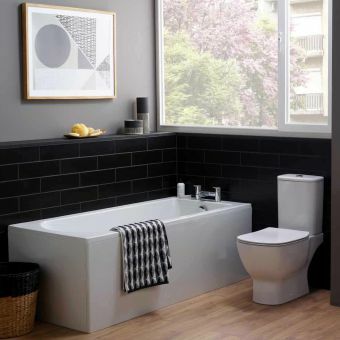 The Roca Malaga single ended bath is made from the highest quality acrylic giving you a long-lasting bath that will keep its superior good looks well into the future. 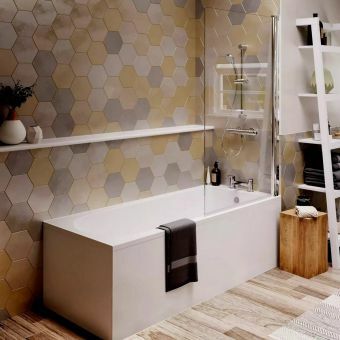 Combining striking and bold geometric design with curves influenced by the beauty if nature, its shape allows plenty of space for wide shoulders and long legs. 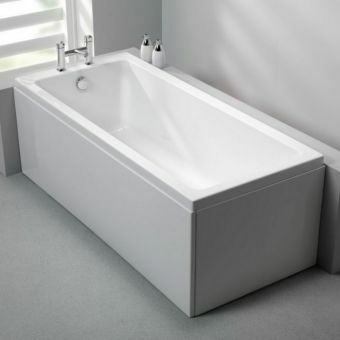 At 1700mm long and 700mm wide, this bath will fit into all except the smallest of bathrooms. 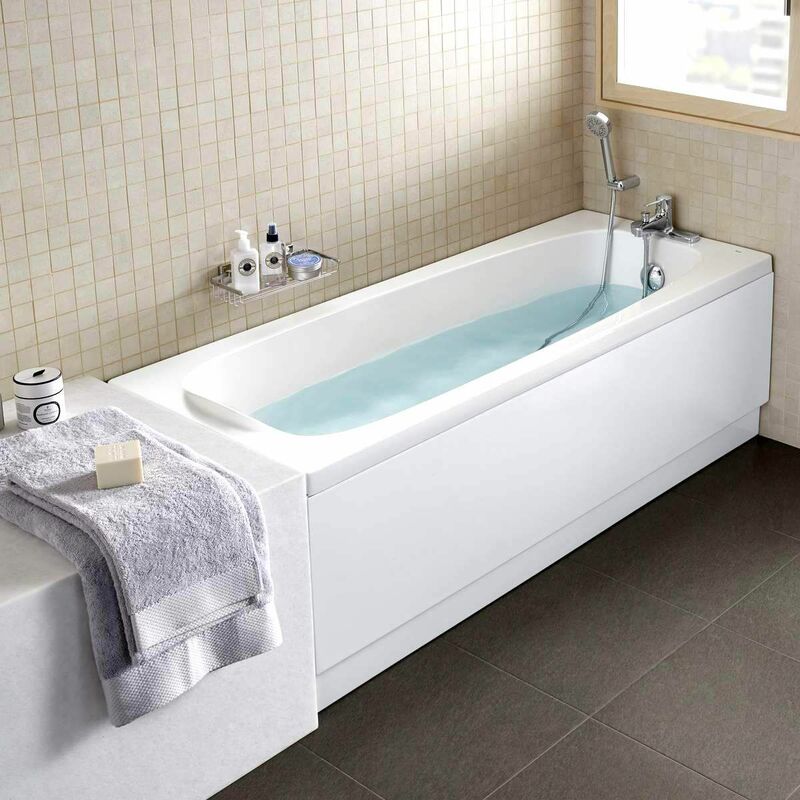 The sturdy inbuilt head support is natural and comfortable giving it a sense of grandeur but without costing the Earth. 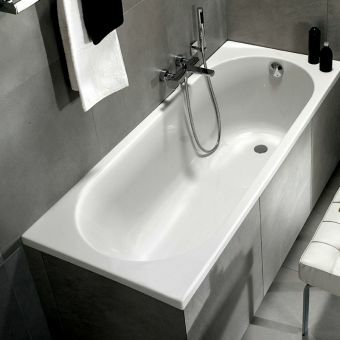 Roca has produced several options for this bath including 0 or 2 tap holes and handy chrome grips. 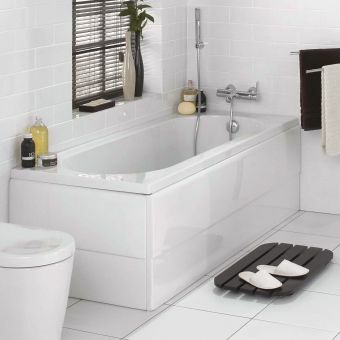 The delicate beauty of this bath can be further enhanced using the optional bath panels which cover up all the pipes and waste, but still allow easy access for servicing.